A lot is expected of modern tee time systems. 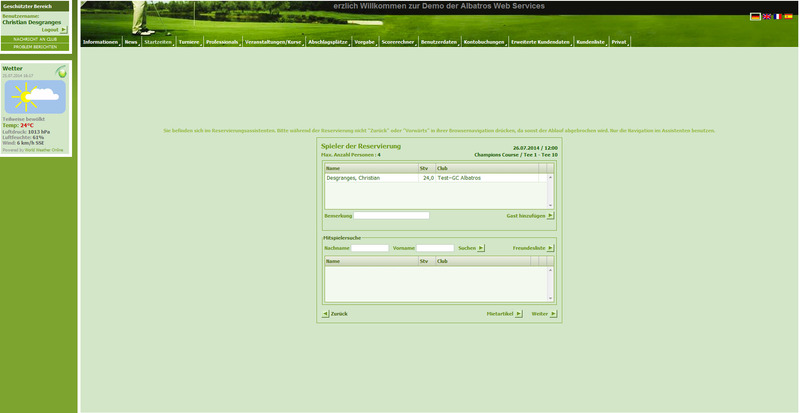 Albators sets new standards with Albatros AWS Reservations. The tee time calendar can be entirely integrated into the golf club’s website and, if required, can be used on smartphones as well. Each golf club faces different requirements and the different business models require a high level of flexibility concerning tee time reservations. Therefore, the Reservation Module provides extensive booking regulations, such as the option to determine how far in advance which days can be booked online. All booking regulations can be applied to members and guests in a differentiated way. As a result, the golf club can individually decide who can book which tee times at what price and time and according to which regulations. The tee time calendar can be made available via public or protected access so that the golf club is in full control at any time and can respond appropriately to the current booking situation. 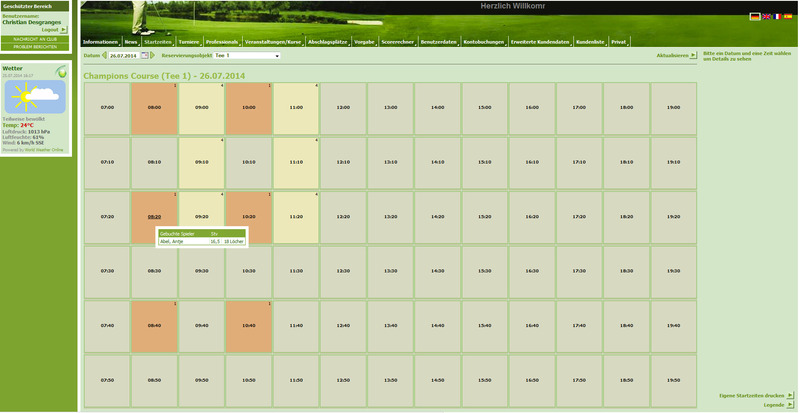 Members and guests of the Golfpark Mieming can book tee times comfortably via AWS on the club’s website. 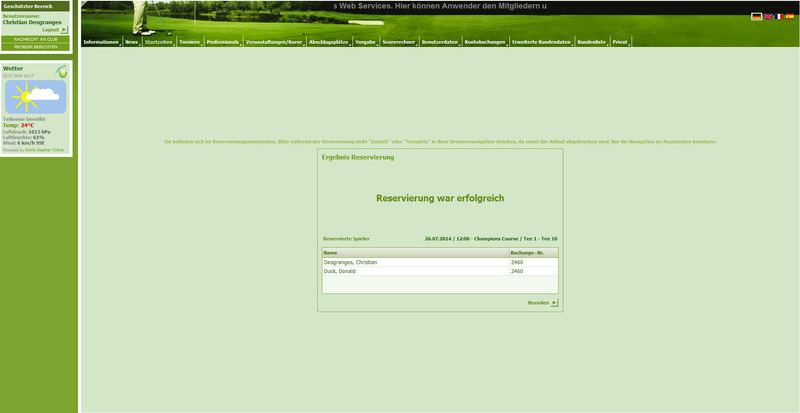 Booking tee times around the clock from home – thanks to AWS, that’s no problem in Bruchsal. 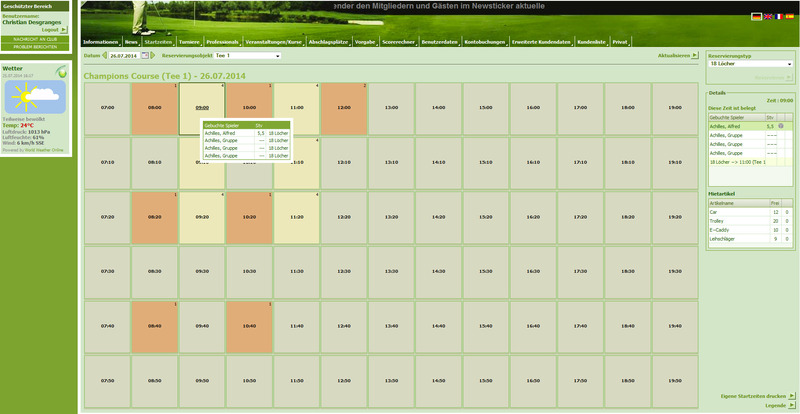 Booking tee times conveniently online – that’s easily possible in Zimmer with AWS and Albatros App.